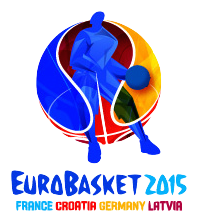 Eurobasket 2015 has taken over all of my free time lately! Most people would probably roll their eyes at the thought of it, but I think I’m addicted to European-style basketball. Since having the opportunity to coach in a FIBA rules tournament against European teams I haven’t been able to get enough of it. I love the pace, I love the style, I love the emphasis on high ball screens. I think that both the NBA and college games are going to go in the direction of the FIBA game sooner rather than later. The wider lane, 24-second shot clock, four quarters and timeout rules are all going to be normalized in my opinion. This is all for the better. The teams in the NBA that have adopted European styles of play, moving away from American-style ISO basketball and into team concept, spread pick-and-roll offenses are thriving. The San Antonio Spurs reinvented themselves and overcame the Heat. The Atlanta Hawks had one of the best seasons imaginable for them last year with a new scheme. Once WatchESPN.com started streaming this week’s Eurobasket Tournament, all of my spare time vanished instantly. Netflix was not an option, because I wanted to watch as many of the replays as possible. Not only are the games for the most part close and enjoyable, but I think the more I watch, the more of the style I absorb and I become a better coach. I also love watching the NBA players that are generally considered role-players being thrust into the spotlight for their teams. Jonas Valanciunas looks like Shaq in the early 2000s when he’s posting up against Estonia’s bigs. Danilo Gallinari looks like the dynamic scoring wing the Knicks were trying to find with a top-10 pick in 2008. Heck, Jan Veseley, the flop of all NBA lottery-pick flops has looked like a dynamic inside-outside forward for the Czech Republic in this tournament. So in absorbing all of the style, I tried to take note of a few of the more interesting sets, out of bounds plays and concepts that I was intrigued by. At the top of this article I’ve linked to the playbook of my favorite Xs and Os that I’ve seen so far in the tournament. Please take a look and let me know if it’s something that you think you can use with your team, or if you have any other favorite concepts that you’ve seen from the European game! This entry was posted on September 9, 2015 by Coach Sass in Coaching.